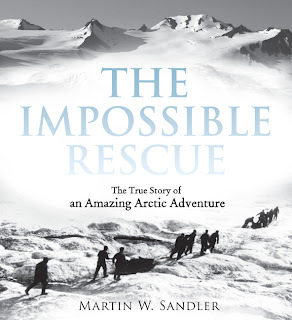 Sandler, Martin W. The Impossible Rescue, The True Story of an Amazing Arctic Adventure, 163 pgs, Candlewick Press, 2012. $22.99. Language: G; Mature Content: G; Violence: G.
When a harsh winter came early to Arctic Alaska in 1897, eight whaling vessels and nearly 300 men were stranded in the ice around Point Barrow. This is the story of a remarkable and seemingly impossible rescue across land and ice, through the winter storms against all odds. Complete with quotes from diaries, official U.S. Government documents and photographs taken during the expedition, this is a gripping detailed account of the men who were waiting, the natives who acted as guides and the brave and selfless rescuers. Newman, Vivian, ill. by Steve Mack, Tikkun Olam Ted. Kar-Ben Publishing, 2012. BOARD BOOK. Ted likes to help the world. His family calls him Tikkun Olam Ted, because of his deeds. Every day, he does something to make the world better, except for Saturday. Saturday is Shabbat and he rests. Although the book does a good job of introducing the days of the week and ways to help the world in small ways, it’s goal of basic introduction to Jewish life falls a little short. Shabbat is never really explained and nor is his nickname. Young children, however, may still enjoy the colorful pictures and simple story. PreK, Public Only. 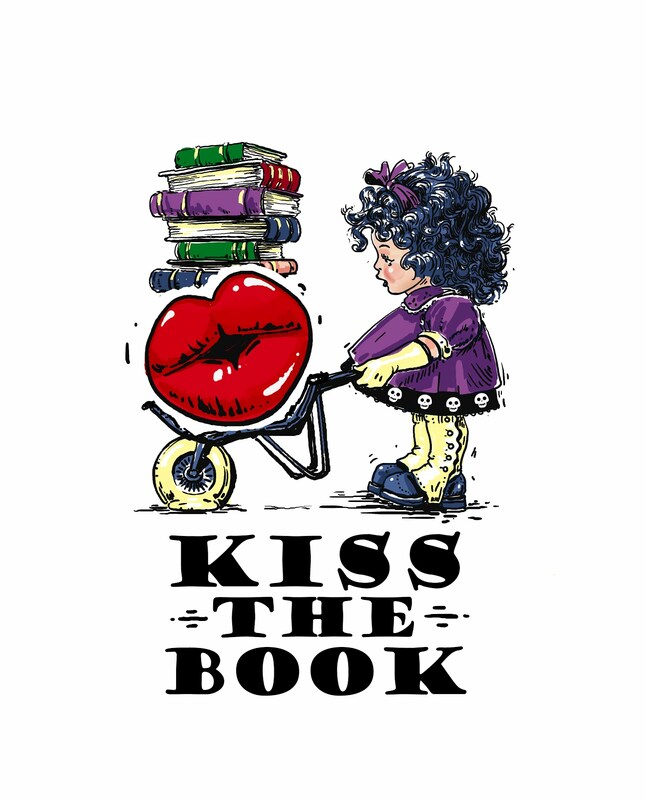 OPTIONAL Reviewer: Kira M, Youth Services Librarian, WHI Public Library. Long, Ethan, The Wing Wing Brothers. Holiday House, 2013. PICTURE BOOK. The Wing Wing Brothers go to a carnival. They eat lots of wieners, ride the Wedgie Wheel, and more. Follow their journey as they add and subtract by 10s and 20s. A cute, funny picture book that meets common core standards. The story is simple, but keeps the reader’s interest through humor and colorful pictures. This is a great book for teachers and parents to use when teaching their young children basic math. EL (K-1). ADVISABLE. Reviewer: Jessica Moody, Library Media Specialist, Olympus Jr. High. Stampler, Ana Redisch, ill. by Carabelli, Francesca, The Cats on Ben Yehuda Street. Kar-Ben Publishing, 2013. PICTURE BOOK. Every day Mr. Modiano would unlock his Tel Aviv Fish Palace and every morning the cats would gather by his doorway only to be shooed away. Mr. Modiano didn’t seem to like cats. Every night, he would climb the stairs to drop fish by Mrs. Spiegel’s place. Mrs. Spiegal would invite him in for tea, but he would always say no. Afterwards, she would feed part of her fish to her cat, Ketzie and and Ketzie’s stray friend, Gatito, but only Ketzie ever got to go inside. One day, Ketzie disappears and Mrs. Spiegel is distressed. Can Mr Modiano put aside his dislike of cats and help her find her cat. Will Gatito ever have a home? A cute, colorful picture book for cat fans. The story is a little long, but would work for older preschoolers and kindergarteners. The illustrations are fun and complement the text. Young children who like books about animals will enjoy having this book read to them. PreK, EL (K-1). ADVISABLE. Reviewer: Kira M, Youth Services Librarian, WHI Public Library. Myers, Walter Dean, ill. by Jenkins, Leonard, I’ve Seen the Promised Land. HarperCollins, 2004. Pgs. 35. INFORMATION. Who was Martin Luther King, Jr. How was he a key figure in the Civil Rights Movement? This book talks about this and more. Amazing illustrations that complement the text, Informative, accurate text. Readers who are interested in learning about the civil rights movement or who need to read a non-fiction or biography book will enjoy reading this book. This would make a great addition to any school or library collection. EL, MS. ESSENTIAL. Reviewer: Kira M, Youth Services Librarian, WHI Public Library.